03 years Diploma in Engineering or Graduation from a recognized University/Institution with MINIMUM 03 years experience in Pilot/Cabin Crew Rostering in a Scheduled Airline. one year of FTC as Assistant Controller. During the period of FTC, candidates will be eligible for remuneration of approx. 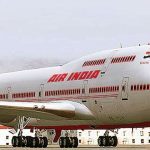 Contract with the subsidiary companies of Air India Limited, will not be considered. tenure of Fixed Term Contract, the said Bank Guarantee in whole will be invoked by the Company.